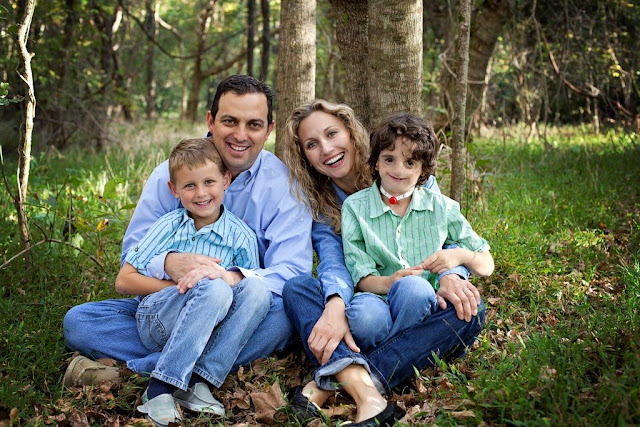 Today we have a guest post from Russel, a CCA Dad from Matthews, NC. Russel has two sons, Nathaniel, who has TCS, and his brother Jacob, who is an amazing supporter! His lovely wife Magda is the rock of the family. At least I hope he wonders that!? 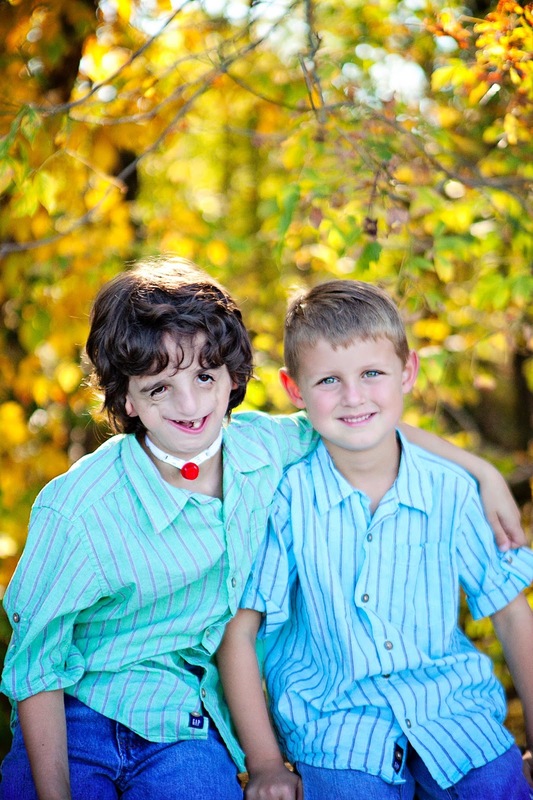 Treacher-Collins Syndrome or not, shouldn’t every 9-year-old boy be of the age that he wants to please his dad? So what he’s had more than 30 surgeries in 9 years? I know, I know, kids aren’t always nice to him because he looks different. In fact, they are often downright mean. So what! Isn’t today my day? I know Nathaniel; the road ahead is still tough. Your mother, Brother Jacob and I still worry each and every day about the future that lies ahead for you. We know it won’t always be smooth. Sorry little guy, today that doesn’t matter. Because you see… TODAY IS MY DAY! Father’s Day!! Nathaniel, I have news for you; I’m just kidding. You see since you’ve been born, every day has been a gift for me and you mother. No tie could ever teach me to be as brave as you! No golf club, shirt, picture or other trinket could ever replace what you give me with every breath you take. This all requires greater explanation. Before you were born I had hopes and dreams for our relationship. Teaching you how to play lacrosse was going to be awesome. Swimming in the ocean together was going to bring back memories of my own childhood with my dad. I would marvel at the number of girls you would date! We would wrestle, play tackle football generally do all the things that fathers and sons do. Boy, was I mistaken. When you were born with Treacher-Collins syndrome, quite honestly, I panicked. I remember the moment you came from your mother into this world. I crumbled. Literally and figuratively, I crumbled to the ground. Were all my dreams of fatherhood shattered? Would you live? How would I raise a boy like you? What had I done wrong? Where would I turn for answers? Then something strange and beautiful happened. Late that night, as your mother and I sat in a hospital room in total shock, tears streaming down our faces, something so wonderful happened. I know this might not make sense to you now, but when you’re a dad it will. It was late and Mommy and I were staring blankly at the television. It was some music show. And then, there she was, Christina Aguilera singing on stage all by herself. The song was called "Beautiful." Its chorus: "YOU ARE YOU BEAUTIFUL, NO MATTER WHAT THEY SAY!" Something in those words sent a chill down my spine. Mommy’s too. I got up and came to the side of your bed and stared at you for hours. You didn’t say a word. You didn’t have to. But you spoke to me. And I knew in that instant you were the greatest gift. Toughness: I thought I was tough. I was wrong. Kids like you define toughness. And through you I have learned the true meaning of the word. Laughter: In spite of all you have been handed, more often than not you laugh! You laugh with such passion that the world smiles with you. Perspective: Because of you I have completely changed my view of what life is or should be. Because of you I know to roll with the punches, take everything in stride and appreciate the life we have been given. Bravery: You walk into a room with reckless abandon and a smile on your face. Kids like you walk into rooms knowing there will be stares, glares and unkind words. Yet, you walk in. You never turn away. That is bravery and that is a gift. And most importantly LOVE… Nathaniel you don’t do love a little bit. You give 100% of your heart and soul to the people in your life. Whether it is your friends, your brother, your extended family or me and Mommy, you have shown total and complete love. This my son is the greatest gift you could ever give me! So, each Father’s Day from today forward I want to make you a promise: Don’t worry about the gift you will give me, because I promise you that each and every day I am blessed to have you as my son. It's is a gift I could never repay. To the other special Dads out there: HOW LUCKY ARE WE? What we thought was a challenge has revealed itself to be a gift. So to all of you, HAPPY FATHER'S DAY! Cherish the gift we have been given. And Nathaniel… love you duder tooter pumpkin rooter! Thanks for sharing such a beautiful and heartfelt post Russel! WOW, thanx for the perspective and the love. Kudos to you, Magda, Jacob and of course your teacher Nathaniel. Para mi eres un niño muy guapo, no dejes q nadie te diga lo contrario!! y se ve que eres un niño muy dulce y simpatico,bonita familia! Very brave little guy, HUGE respect to him! Greetings from arctic circle! Hugs! I think your all truly amazing especially you Nathaniel! I used to know Nathaniel and I know that he is an AWESOME kid. We used to sled and play Minecraft. This is Sophia, by the way, if you were wondering Russel. Anyway, people were mean in middle school, they're mean to everyone. But my theory is, they were just jealous because Nathaniel was a whole lot cooler. Maybe we can get in touch some time, Russel. Bye guys. By the way, I miss playing with Nathaniel. Wow! Getting started must have been so much pain & conflict for you as parents. I Have no idea whay choice i would have made but I pray that for the rest of my life I can choose to be as brave and full of love as you and your wife. 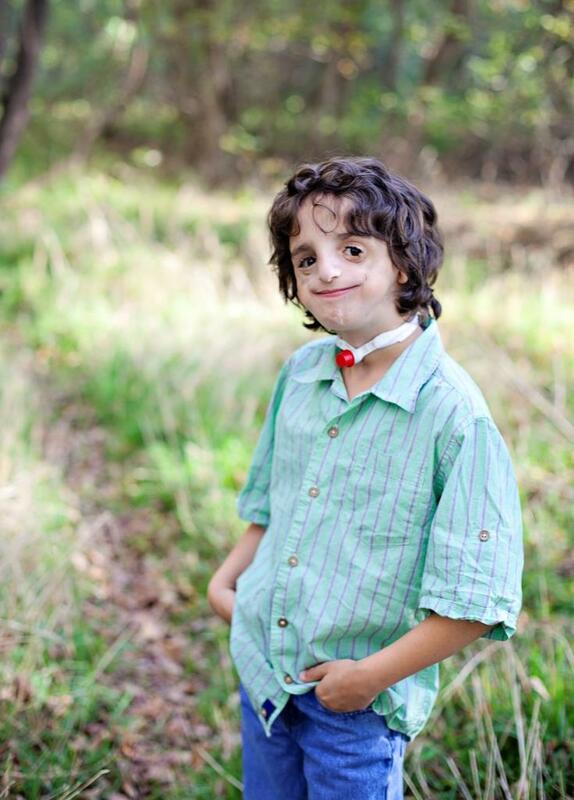 God definitely made the choice to put Nathaniel with you. As for Nathan,that initial judgements are made on image alone is a sad true reflection of our disturbed image based society. But they are the persons with the real deformities and problematic issues not you. What truly matters is what we have and hold on the inside and how we use our internal talents to take xare of ourselves, others and the world. Always ignore the judgers and remember that you are important as God made you and He has a purpose for you so always focus on that.